The pain caused by the disease of gout can be relieved with the right treatment, careful nutrition, weight loss and fluids. Pain occurs when sharp uric acid crystals form in one or more joints. Uric acid is a body waste product that is passed through the kidneys into the urine. Crystals can occur in joints because the body makes too much uric acid or builds up too much uric acid rather than getting rid of it. Lower joints such as a big toe, ankle or knee are most often affected. Gout is more common among overweight adult men and older women. Gout seems to run in some families. Discomfort often starts at night. Anything touching the irritated joint - even a sock or sheet - can cause extreme pain. The joint can become swollen and warm. An acute gout attack might last only a few days. However, without proper treatment, an acute attack can cause permanent joint damage. Permanent joint damage can lead to chronic attacks. A doctor who specializes in arthritis (rheumatologist) can perform tests to diagnose whether you have gout. Diagnosis can involve testing a sample of joint fluid for crystals and white blood cells. Joints might be X-rayed and blood tests done to check the blood's uric acid level. The doctor can recommend the correct dose of a nonsteroidal anti- inflammatory drug (NSAID) to reduce pain and swelling. He or she might also prescribe a painkiller such as codeine and medicine like colchicine to reduce swelling. The swollen joint can also be treated with an injected steroid. For chronic gout, the doctor might prescribe a medicine to reduce uric acid in the blood, such as allopurinol. Gout treatment might also require changes in lifestyle. Sometimes pseudogout is confused with gout or some other form of arthritis. In pseudogout, a type of salt crystal (calcium pyrophosphate dehydrate), not uric acid crystals, forms in the painful, swollen joint. Many of the same medicines used for treating gout are generally effective for pseudogout. Treatment for both diseases might include removing excess fluid from a joint. Other health conditions and medications increase the risk of a gout attack or make an attack worse. Patients who are dehydrated or take medicine to remove excess water (diuretics) due to hypertension could be at greater risk. Some other medicines can also increase risks. The chance of gout symptoms tends to be higher for people who are obese or who have diabetes, anemia, blood cancer, kidney disease or an underactive thyroid. Gout can improve with a healthy diet. Certain eating habits can make gout worse. They include drinking alcohol and eating high-fat and purine-rich foods such as sardines, organ meats and brewers' yeast. Brewers' yeast is often used in breads, gravies, casseroles, dips, spreads and soups. Purines are a type of protein found in many foods. Foods that increase acid levels in the body might also increase risks. At first, uric acid-lowering treatment might cause a joint to become sorer as crystal deposits break up in a joint. 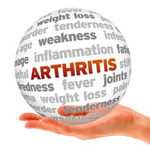 Take recommended medicines to reduce inflammation in a joint as soon as you have a gout attack. Ibuprofen (for example, Advil or Motrin) or naproxen (such as Aleve) helps many people. Get professional help when symptoms occur. Visit your primary care provider to see if you need a rheumatologist. Get serious about your lifestyle. Avoid things that can trigger attacks. Drink plenty of water to flush uric acid from your body. Avoid alcohol and animal proteins from meats and fatty and purine- rich foods. Reduce the chances of more attacks by losing weight slowly but surely. Exercise regularly and eat small portions. Be sure to include complex carbohydrates in your diet. A lack of carbohydrates can lead to ketosis, which can eventually increase the level of uric acid in your blood. Get professional advice about medicine. Tell your care provider about the medicines and vitamins you are taking. Some, such as aspirin, niacin and diuretics, might be increasing your gout risks. Some anti-inflammatory medicines might be harmful if you have kidney disease or ulcers. Aspirin can also interfere with some uric-acid- lowering medications. Don't just stop recommended medicines on your own. Rest an inflamed joint. Use an ice pack to reduce pain and swelling. Learn about gout at niams.nih.gov/Health_Info/ Gout/default.asp. See acumedico.com/purine.htm for a list of purine-rich foods to avoid. Better Health: Take Charge! is provided by the Healthy Memphis Common Table: www.healthymemphis.org. This article supports the care and advice of your doctor.